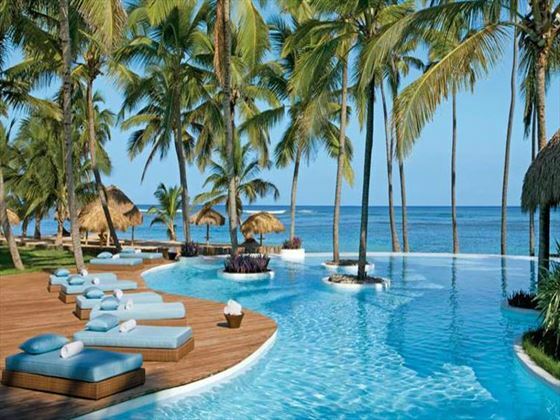 The majority of all amenities and services are included in the benefits of Endless Privileges®. 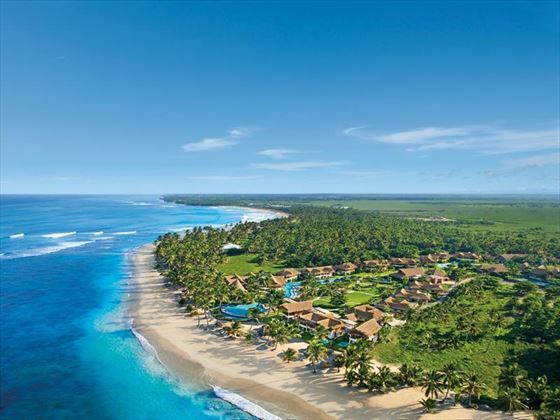 These benefits range from complimentary horseback riding to all gourmet meals, premium brand drinks and a complimentary 20 minute spa treatment per guest. Each of the three gourmet à la carte restaurants offer a variety of international cuisine while the two bars provide guests with an array of premium domestic and international brands. 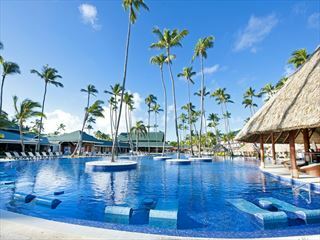 Guests can spend afternoons swimming in the tranquil ocean waters, indulging in the spa or simply relaxing under the shade of a palm tree with a specially created cocktail. 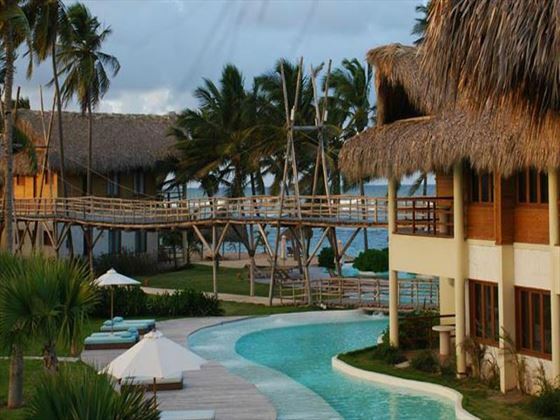 This luxurious resort is nestled along the golden sands of Uvero Alto, a secluded beach along the Dominican Republic coastline. 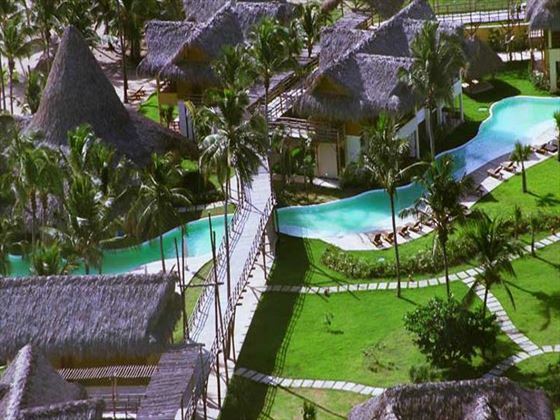 With such an unspoilt and tranquil location, you'll enjoy an elegant island experience here. Agua Junior Suite Garden View ground floor with direct access to the pool, two queen beds or one king-size, large bathroom with a shower and soaking tub, walk in closet and a private terrace. Junior Suite Pool View private pool view terrace, rain showers and jacuzzi and a king-size or two double beds. 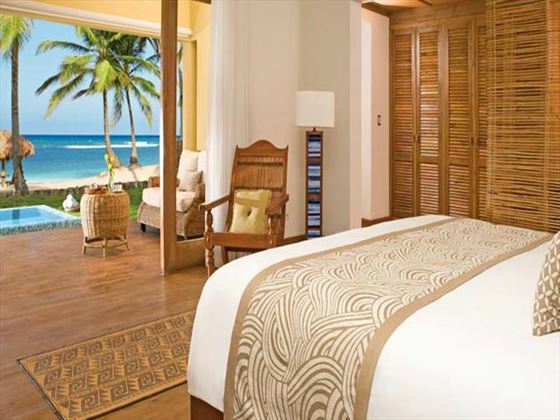 Junior Suite Deluxe Ocean Front sea views from the french doors leading onto the terrace with a private plunge pool, multiple jet shower or bath, walk in wardrobe with a beach front location. 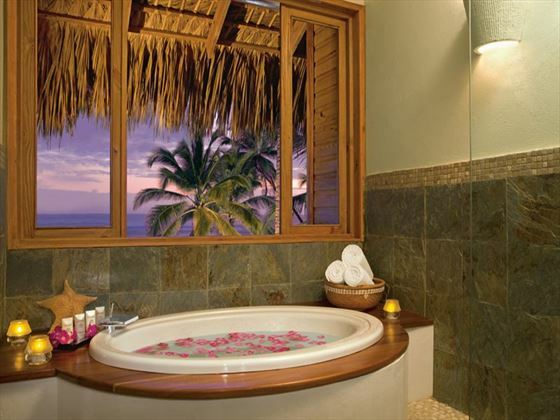 Suite Carib Garden View one bedroom suite, king-size bed with a living room, garden views from the private terrace, bathtub, private garden with plunge pool, walk in wardrobe. Located on the ground floor. 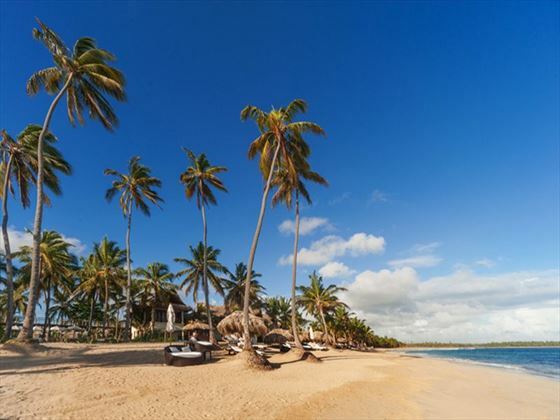 Villa Dominicana 2 bedrooms, two garden view terraces, private garden with plunge pool, one king-size bed and two double beds, spacious, partially open air bathroom with inside garden, walk in wardrobe and double vanity. 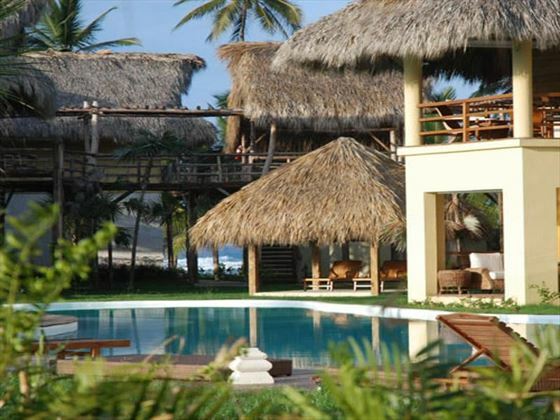 Villa Caney 3 bedrooms, living area, powder room, dining area, full kitchen and three spacious open air bathooms. King-size bed in two rooms and two doubles in third. 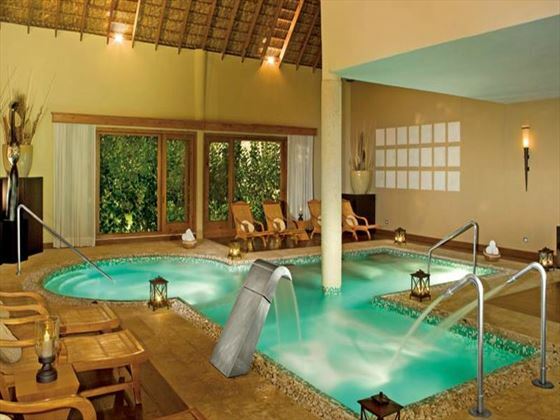 Complete with a deep soaking tub, separate shower, two multiple jet showers and a spacious garden view terrace. 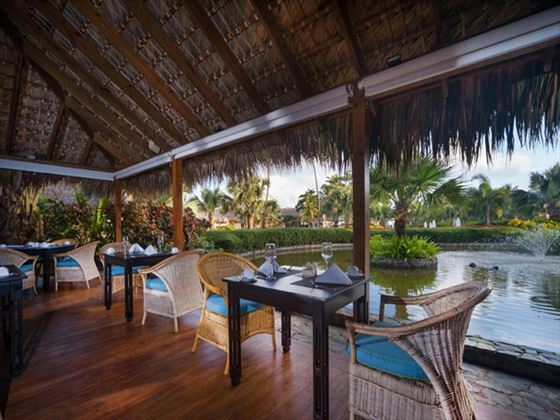 Amaya - local Dominican flavours and tasty international specials. 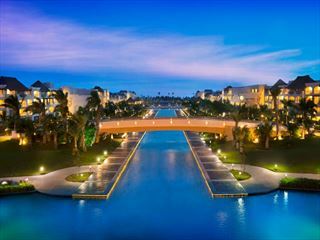 Two spacious infinity pools with serpentine water trails and quiet lagoons. 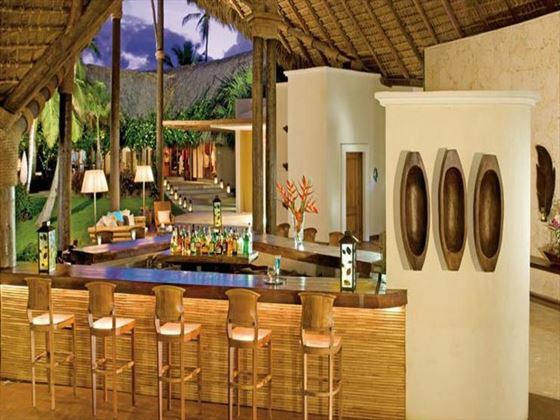 Unlimited cocktails and speciality beverages from a variety of domestic and international premium brands. 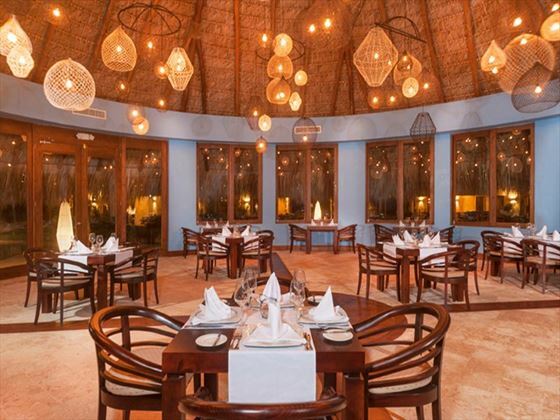 - Visit the other AMResorts in this area for free to enjoy dinner and live entertainment with complimentary drinks at any of the open restaurants from 6pm - 1am. Arrangements must be made through your hotel, cost of transport is not included and a maximum of four guests per seating.